Thank you guys for participating and am sorry if i missed any of your entries. It is not intentional and please bring it to my notice at cookerypoint.ilakitchen@gmail.com. I will make corrective action as soon as possible. Bye and will meet you guys in next post. 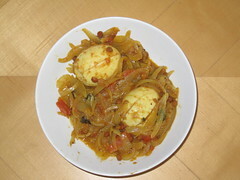 Wonderful round up of egg dishes. Each one looks delicious in their own way. Great round up! I would love to see your sweet & romantic recipes for my ongoing ''Valentine's Day Event'' :) Glad to follow your yummilcious page! Great round up & fabulous recipes! !